It’s very hard to write around ramps and not start with an apology. 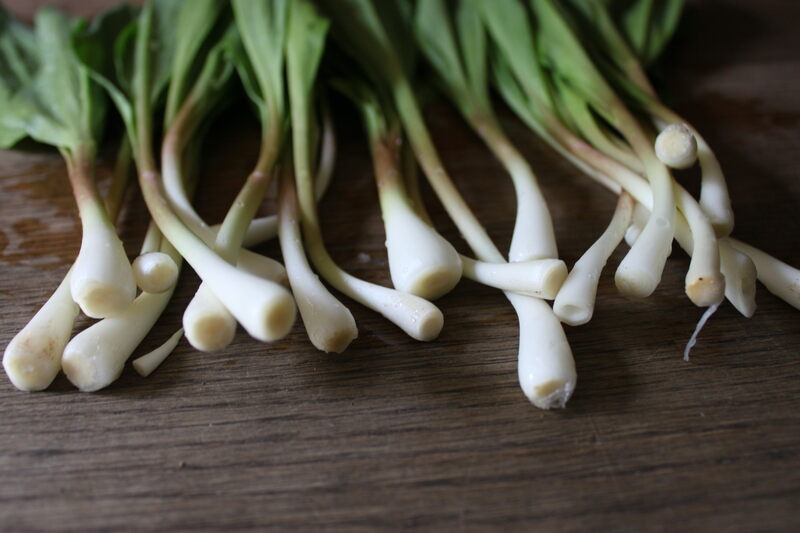 Everyone one is writing about ramps right now. Like pumpkins in the fall, they’re everywhere and then they’re gone. Unlike pumpkins, there is nothing contrived about the ramp rush. They’re season really is brief unless you go full-Brooklyn and spend April pickling every hard won bunch you find. 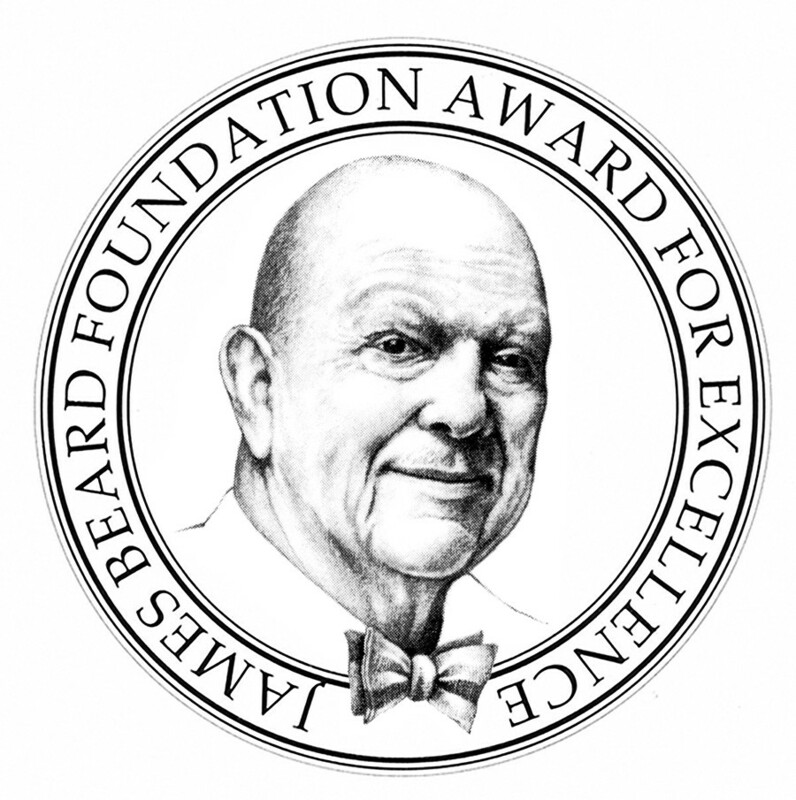 They’re also foraged and not cultivated so even the high cost is forgivable. For such whispy little greens, there’s something great about how uncompromising they are. I came late to ramp season last year. I was interviewing Katie Button from Cúrate when she described using local ramps as a substitute for Spanish calçots with romesco sauce. I decided to make it myself but when I had the ramps I couldn’t find the ñora chile peppers for the sauce. When I had the peppers, no ramps. This time around I was prepared and pounced on first ones I found. 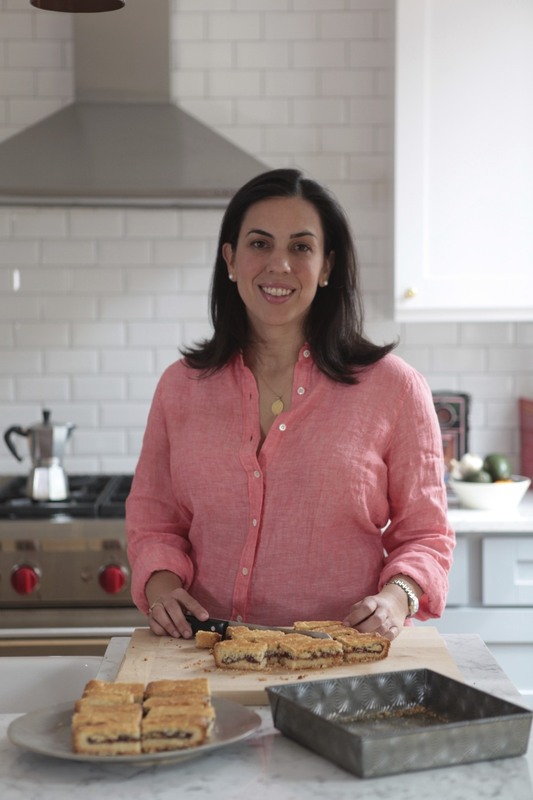 As soon as I started working with them, I could understand why bloggers and food writers obsess over them. 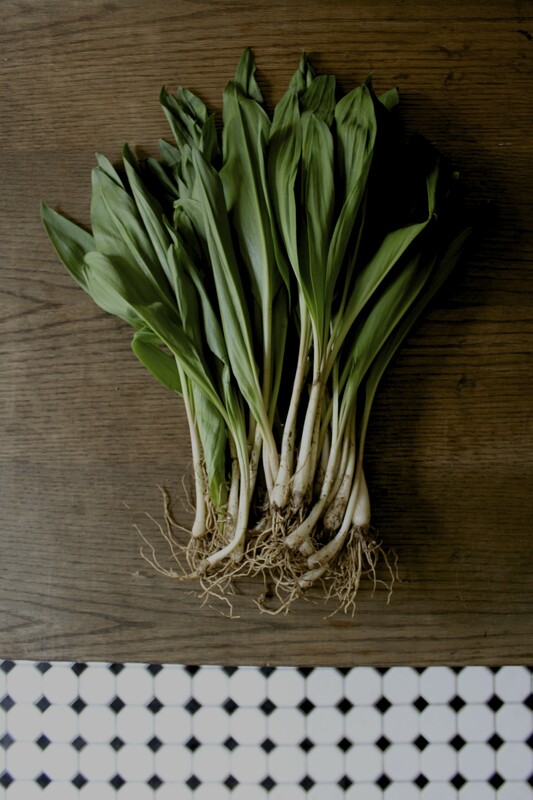 Whether covered in dirt with a web-like film clinging to the gnarly roots, fresh from the bath, newly rosy and trimmed, glistening with a brush of olive oil and sprinkle of sea salt, or finally, blackened and wilted on the grill, ramps like tulips are pretty to look at – or at least interesting – at absolutely every stage of their brief season. I couldn’t stop taking pictures. I had planned to only use the romesco sauce but loved the idea of adding seared scallops. The complete recipe can be found here. The ramps need to be cleaned thoroughly but only need a brush of olive oil and sea salt to complete. The only work is finding them. 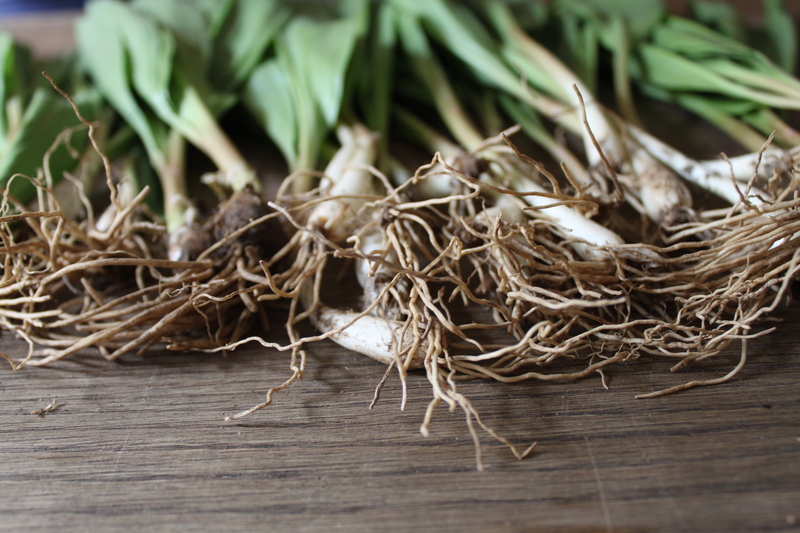 Rinse the ramps thoroughly, remove thin out skin, and trim at the root end. 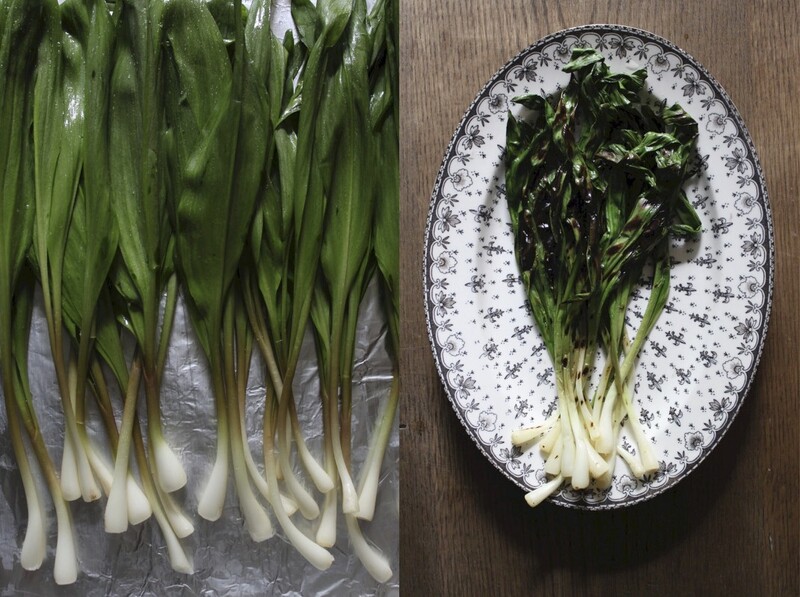 Brush the ramps with olive oil and sprinkle with salt. Heat a grill pan over medium-high heat until hot. Working in batches, lay the ramps on the pan in an even layer and grill until tender and wilted, about 2 minutes per side. Transfer to a serving platter and keep warm. Repeat with the remaining ramps. 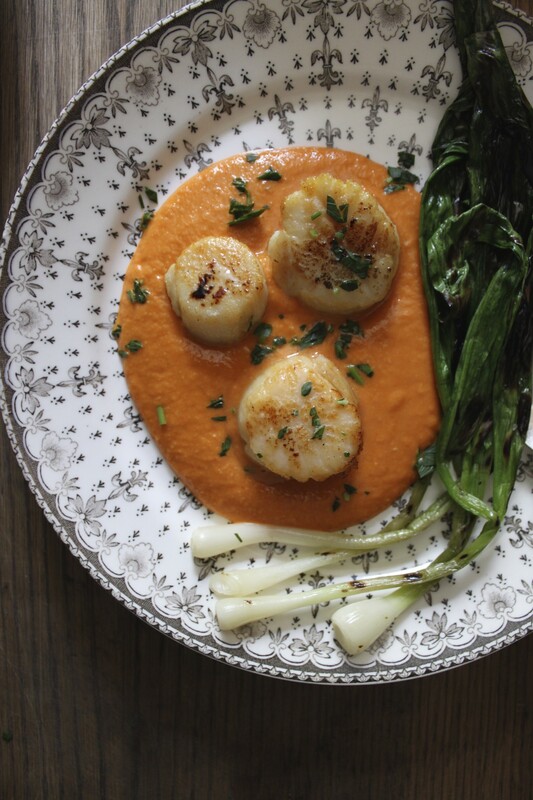 Serve with prepared scallops and romesco sauce. 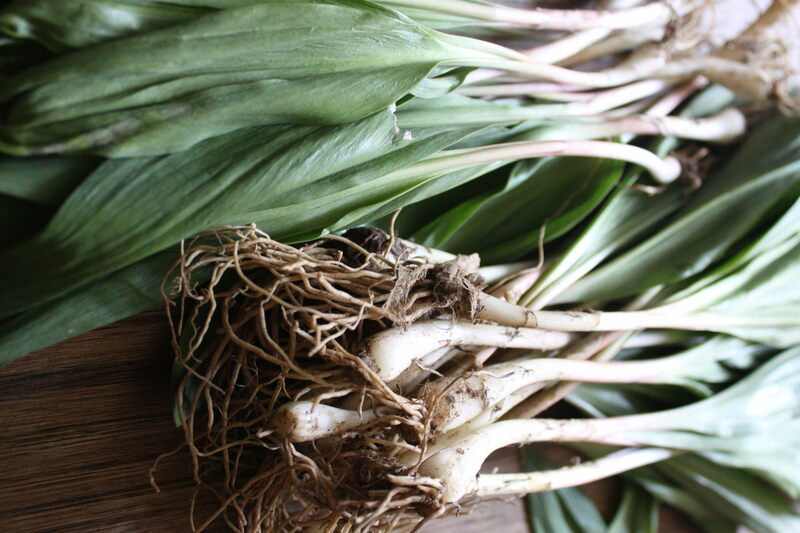 I am still afraid to try ramps. Isn’t that silly? I guess I am afraid I won’t know how to cook them but this looks simple enough. Thank you for sharing! I’m from South Africa and I don’t think we get ramps here. Do you know if they have another name or if there’s a similar vegetable substitute?